Morning Yu is an award-winning realtor based in Vancouver, British Columbia. After years working as an insurance broker, she pursued a career in real estate and became licensed with the Real Estate Board of Greater Vancouver in 2010. Despite the downturn in Vancouver’s real estate market in 2012, Morning still won major awards and closed many lucrative sales that year. 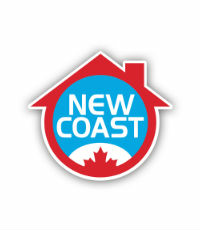 Morning joined New Coast Realty in 2013 and continued her track record of success. In 2015, Morning and her team were ranked #1 in sales at New Coast Realty.